Kristi worked at Alternatives, Inc., from 1995 to 1996 as a Client Advisor and then returned in December of 2006 as Operations Supervisor for the Passages Program. She now holds the title of Assistant Director. She graduated from the University of Wyoming in 1993 with a BS in Administration of Justice. Kristi worked for the Yellowstone County Detention Facility for eight years attaining the rank of Sergeant. 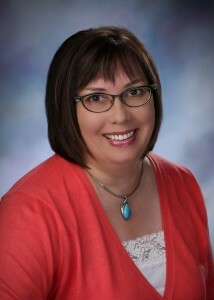 She resigned her position with YCDF in 2004 to become a Probation & Parole Officer for the State of Montana. Kristi has been post certified as a Detention Officer, Police Reserve and as a Probation & Parole Officer by the Montana Law Enforcement Academy during her career in corrections. Bridget began working at Alternative’s Inc. in January of 2009 as a Case Manager I at Alpha House, as well as the temporary Program Assistant. She was moved into the Special Needs Case Manager position before coming over to Passages in May of 2011 as the Screening & Disciplinary Coordinator. Bridget graduated from Montana State University in 2007 with a bachelor’s degree in Sociology with an emphasis in Justice Studies. Prior to her hire at Alternative’s Inc., she completed an internship at the United States Probation Office. She is a native of Montana. 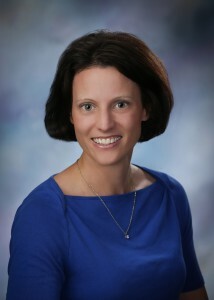 Kelly Mortensen possesses a Bachelor of Science degree in Human Services. She began her career with Alternatives, Inc. as a college intern, and was hired in March of 1989. Over the course of the next 15 ½ years Ms. Mortensen worked with all of the community corrections programs offered by Alternatives, case management of state and federal pre-release residents, contract team, disciplinary, and as Program Supervisor. Since joining the Passages team, Kelly's primary role has been as Case Manager of the federal residents. 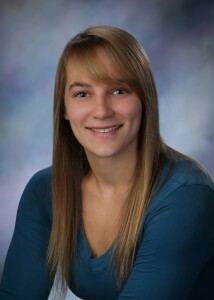 Jen Porter has a Bachelor of Science (Psychology) with a minor in Addiction Counseling from the University of Mary. She worked with the youth population in a correctional setting for five years before obtaining her Licensed Addiction Counseling License in 2007. She has worked in the field of addiction in Billings, MT since 2007 in an inpatient and outpatient setting along with working in private practice. She came to Passages full-time in 2013, working on the Alcohol and Drug Treatment unit as an LAC. She has been the Lead LAC for Passages ADT since 2017. Kelcey worked as a veterinarian assistant for 3 years before she began working at Passages in March 2013 as the Records Manager. She became the Administrative Assistant in November 2014. Kelcey has a Bachelor of Science in Business Administration with a minor in Mathematics from Montana State University-Billings. Kelcey enjoys the great outdoors, playing sports (even when done poorly), and desserts. Matt began working at Alternatives, Inc. in 2011 as a Client Advisor at Passages. Since that time, he has been a Security Response Officer, a shift supervisor, and the Operations Assistant for the facility as well as Operations Supervisor for Alpha House and the Emergency and Safety Coordinator for the agency. 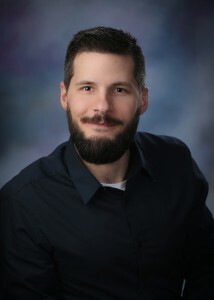 Prior to his hire with Alternatives, Inc., Matt was active duty military serving in the U.S. Army for four and a half years. He enjoys golf, reading, and time with his family.